I’m busy in Leeds this weekend so unfortunately I won’t be taking a close look at Sunday bettingwise, abnormal service will be resumed tomorrow. 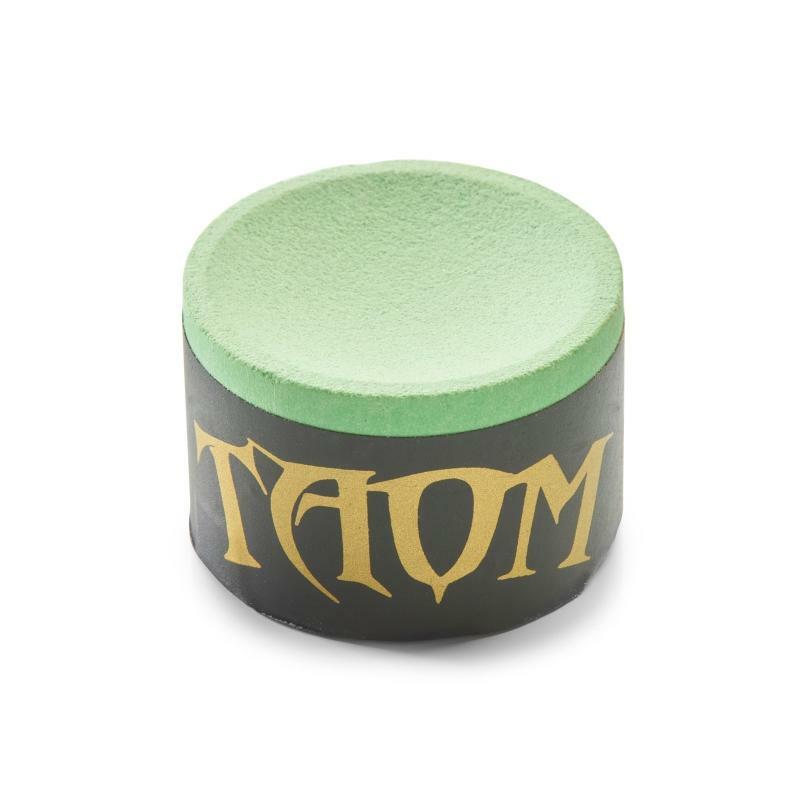 There is a small recommended bet at the bottom of the post. Here is the match schedule. Recommended Bets: 2 x 2 point singles and a 2 point double on Chris Wakelin (5/4 Stan James) and Stuart Carrington (4/6 generally). The double pays just on 11/4 at Hills. You can view Apollobet’s outright prices here, match betting here and Daily Enhanced Specials here. From the semi-finals onwards today there will be Live Scoring online, the link to this will be posted later today. 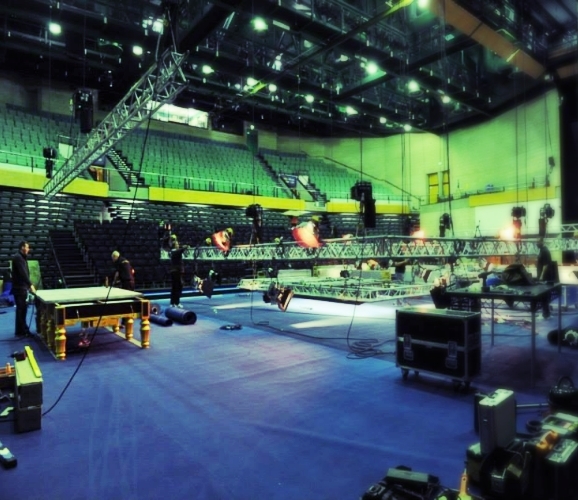 The four table set up inside the arena, two big, too small? While we are over in Leeds with the SB Classic at the weekend the UK Championship continues as the BBC coverage starts up in the afternoon, the morning sessions seemingly and unfortunately not covered anywhere anymore, which is a shame and in my view a bit of a shambles. The schedule is also now more condensed and there is no guarantees for any of the afternoon or for that matter evening matches that they will start on time. But that is how this tournament is going to run so the players will just have to put up with possible delays. I’m not going to ramble on ahead of previewing tomorrow’s matches as time is short, but I have to say a huge congratulations to Mitchell Travis, the amateur who knocked out Marco Fu against all odds. I hope nobody did one of those mad-accas on the short priced favourites as they will I’m sure have included that match, I didn’t see it coming that’s for sure. I don’t know Mitchell as he has never entered the SB Classic but by all accounts he played tremendously well to win. The betting is going well now that I’ve actually knuckled down and given it some time so let’s see if the decent run can continue. If you go over to Cue Tracker here you can enter both players names and see their head to head statistics. As I understand it we won’t be able to watch any of these which is frustrating as the session seems two world champions and further three world finalists in action in four second round matches. Graeme Dott seemed to be scoring well in his first match with two centuries and comes into this in form, he could be a dark horse in this event could Dotty and I think he’ll come through his match against Nigel Bond with a bit in hand. Ali expressed dissatisfaction with the whole format and venue after winning the other day and he now faces Jimmy Robertson for a place in the Last 32, I get the feeling that despite his feelings he’s bang up for this week and again I’d expect a win for the higher ranked player there. I’d also side with the favourite in the Barry Hawkins/Zhang Anda match and to be honest all three are backable as a treble so to me that’s your Saturday starter, Hawkins has admitted to taking his eye off the ball since the World Championship and usually that means he’s got his motivation back up and running, no doubt with the help of Terry Griffiths. I expect Peter Ebdon and Davy Morris to be a little closer, both scored consistently in their first matches without doing anything outstanding, but the bookies seem to have priced this one up bang on so there’s not really any value backing either in what I think will be a close one. Predictions: Dott, Carter, Hawkins, Ebdon. Recommended Bet: 2 point treble on Dott, Carter and Hawkins pays over 5/4 with Apollobet. Ant Parsons: In action against Ding. SB Classic Grand Finalist Ant Parsons has his time in the spotlight as he faces Ding, presumably getting some BBC coverage to boot. This and the second match on the list involving Ronnie O’Sullivan is a held over Last 128 match while the other 6 in this afternoon session are all second rounders. To see Ding or Ronnie lose would be a shock of epic proportions but I hope Ant gives a good account of himself as he’s a genuinely top bloke who works really hard at the game. Shaun Murphy had a bye in the first round so it’s also his first match and he faces local man Davison who landed us a nice touch in the last round. Paul is a tough match player and is more than capable of springing a surprise on his day and Shaun is a little out of sorts of late, maybe all these late night replicating kicks are taking their toll on him, Shaun is usually however a strong starter to the main events and I expect him to come through that one. The tightest match up may be Holt against Angles, Holt proclaimed himself satisfied and ‘like a box of chocolates’ after his first match and Alan came through a dramatic re-spotted black encounter against Joel Walker in Round 1, winning by virtue of his opponent going in-off the deciding ball. But this is another day and if any player can frustrate the sometime volatile Nottingham man it’s McManus, so I think I’ll side with him here. Gary Wilson is making giant strides on the tour this season already and is becoming one of the most reliable players to back in early rounds, his 6-0 demolition of Jamie Jones in Round 1 is enough to convince me he’s backable again here against arguably a less capable opponent in Vinnie Calabrese, Wilson remains a decent price and I’d advise a decent bet on that one. Sean O’Sullivan came from 4-0 down in Round One to shoot down the Sheriff of Pottingham but starts an outsider against Thai Noppon to progress again. I’ll admit that I don’t know a lot about old Noppy but his scoring in Round 1 indicates to me that if Sean can keep the momentum up he is very beatable. Xiao Guodong is playing very well lately and his opponent in the last round Andrew Pagett described his performance as awesome, you’d think he’ll have the firepower to fend off Jamie O’Neill and finally a real battle of the bruisers as The Ferginator takes on legendary grappler Mark King, impossible to call so I am happy to report that my old adage of not betting with a match with Mark King in it will hold, gun to head, King. Predictions: Ding, Ronnie, Murphy, McManus, Wilson, O’Sullivan, Guodong, King. Recommended Bets: Add Gary Wilson to the morning treble for a 3 pointer that pays almost 5/2 at Paddy Power. Two more first round matches pitching amateurs against professionals in the final session and again it would be a major shock if either Selby or Robertson were to lose, you can’t really see that happening. 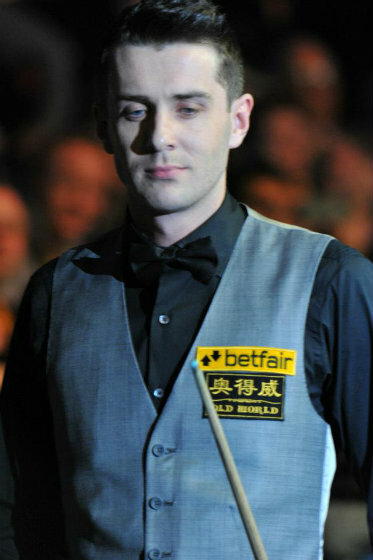 Michael Leslie is doing a lot better this season and is finding his feet at this level, he faces probably his stiffest ever test in a main ranker against Liang Wenbo, who missed out on a chance of the 147 in his first match breaking down on the yellow for the £58k bonus, I expect the Chinese player to come through that one. Finally, one of the hot prospects of the baize Michael white finds himself starting favourite against Marcus Campbell, while I think White will probably win, the odds on Campbell are quite surprising and it wouldn’t be a shock if he overturned the book. No bet in the evening session for me though. Predictions: Selby, Robbo, Wenbo, White. Thanks as ever to Monique for use of the original photo. 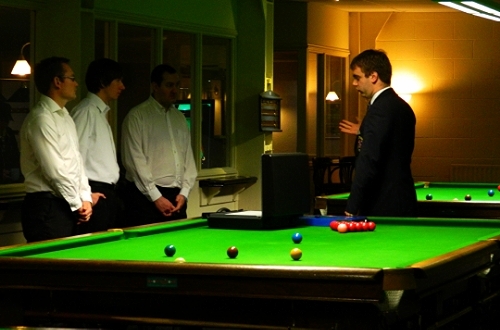 The draws for the Leeds Snookerbacker Classic qualifying heats at the weekend have now been completed. Dress code is polo shirt, trousers and shoes and optional fancy hat (one of those is a joke, take your pick). Stand by for news of further qualifying events in the new year, the venues will be announced shortly. To read all about the SB Classic and why it’s the best amateur event in the UK click here. The current SB Classic Highest Break as well as the Crucial SB Order of Merit List is here – only half way through the qualifiers and we have Callum Lloyd remaining in poll position with Joe Steele in 2nd place. *Troy Brett will take the place of Saturday’s winner should they be entered into Sunday’s event. UK Championship Day 4: To Beeb or not To Beeb? He’s got the hump: Ali’s been giving it both barrels. Another day of qualifiers or first round matches if you prefer in York, with only the morning and afternoon sessions needed before the cameras and V-Neck jumpers from the Beeb are shipped in for the beginning of the TV coverage on Saturday. The reverberations surrounding the format change to this once great event on the calendar have been escalated today by the comments of The Captain Ali Carter, who is never short of a word or three and says amongst other things that the event feels like a PTC, which at this stage is probably true and something that surely has to be avoided. Maybe it will be when the schedule thins out a bit of course but by then we may have lost the interest of the BBC three times a year audience, which whether you or I like it or not, are still the vast majority of people who watch snooker on TV in the UK. All to me are very fair and valid points and the second one in particular is totally unacceptable for a professional snooker tournament of this magnitude and heritage. Another point of note that is worth mentioning is that when it starts on Saturday the vast majority of the live BBC coverage, almost all of it in fact, is in the afternoon. This means they are totally relying on morning matches finishing in three and a half hours to get the main event on live (I believe they are not even turning the cameras on until the live show starts). This is a big ask and I can almost see the scenario now where they are going off air before the conclusion of the match they are concentrating on, which they would have wanted to start a lot earlier and in line with the schedule. This also adds the risk that at least 66% of their commentary team don’t know anyone outside the top 16 and might have to commentate on them from the start of the broadcast. Expect lots of Hazel and discussion fillers is my prediction, it’s no wonder Ken lost, at least he knows what he’s doing. I really hope this has been thought through, I suspect/hope that it has and that this great Championship may well get a new lease of life away from the BBC, who are clearly now way behind Eurosport and ITV in terms of their commitment to snooker. Perhaps, they want to just keep the Masters and the World Championship, hence the deal to allow Bazza to try this for a tournament they clearly want to and will eventually ditch anyway. Predictions: Walden, Mavis, Fu, Milkins, Pengfei, Donaldson, Lawler, Maflin. In the main arena this morning it would be quite a shock if all four higher ranked players didn’t make it through. The Chinese player Xinlong is potentially a threat to an out of form Ricky Walden who seems to be in the middle of a bad run at the moment but you would expect him to get out of that one unscathed in a venue he has proved he likes in the past. Robin Hull from Finland is another that might pose a threat to Dark Mavis, but Mavis is another who has performed at his best in York and realistically should come through that one. Marco Fu faces amateur player Mitchell Travis and again should not really struggle while Rob Milkins faces Germany’s Patrick Einsle who I feel continues to struggle to compete at this level. The more competitive matches are in the Sports Hall, a cracker awaits between Tian Pengfei and Pankaj Advani, two players who are capable of upsetting anyone on their day, it’s too close to call for me that one but at the odds I’d chance a few quid on Pengfei. Another close call is Matt Selt and Scott Donaldson, Scott has started posting some decent results lately and it would be no surprise to see him prevail at backable odds, he has won their only previous meeting. Rod Lawler continues to play the game in his own unique way and I think will outwit Thanawat and justify favouritism in that one and finally the dangerous and heavy scoring but inconsistent Kurt Maflin takes on Liam Highfield who is struggling at the moment to hang on to his tour place, it has to be Maflin on form in that one. Recommended Bets: 3 x 1 point doubles and a 1 point treble on Pengfei, Donaldson and Maflin. The treble pays over 11/2 at Sportingbet. Predictions: Higgins, Maguire, Stevens, Perry, Burden, Brecel, Burns, Williams. Perhaps another session in the main arena which will see the four higher ranked players come through their first match unscathed. I’d argue that Bjorn Borg probably has more chance than Malta’s Alex of beating John Higgins, even if John is some way off his A, B or even C game. SB Classic regular and all round diamond geezer Sandi Lam gets his chance in the big arena against Maguire and what an experience that will be for him, I really hope he gives a good account of himself but realistically you’d have to say a win is heavily against the odds. Ryan Clark is capable enough but rarely wins and I reckon this point in the season will see Matthew Stevens start making strides, he’s been quiet so far but does tend to get his act together later than most. Joe Perry faces Stephen Hendry’s cousin James Cahill and is the higher ranked player with the stiffest task out there, Cahill is not without a chance there and despite Joe being in decent form a surprise is not beyond the realms of possibility in that one with the outsider at a very attractive price and for me he’s a very attractive handicap proposition to win at least 3 frames. You would have to wonder how prepared Alfie Burden is for this, he was last seen in the boxing ring knocking seven types of shite out of another bloke and taking a few blows himself which is hardly ideal preparation for the more gentlemanly pursuit of snooker, he faces Daniel Wells in what could be a close one, Wells pushed him close in the International Championship over the same distance and if The AB is a little underprepared the Welshman has a good chance in that one. Mike Dunn hasn’t been feeling well this week and faces Luca ‘Lovely Smile’ Brecel who did so well here last year but has struggled so far this season to get any type of winning run going, if Mike is to be believed he’s not a well man so Luca is probably worth a punt. Ian Burns has struggled a little with his Rookie of the Season status last time but is now beginning to post some wins, if he’s getting back to the form he showed last season I would expect him to beat the experienced James Wattana, who while still a great player is a little limited in the scoring department. Finally, Robbie Williams takes on Aditya Mehta, a battle between two players who might be fighting it out for the Rookie tag this time along with the likes of Gary and Kyren Wilson and Chris Wakelin. Robbie’s form of late has been very very impressive and Adi is a really solid player so that makes this very difficult to call, but the value is with the Scouser. Recommended Bets: 2 points on Cahill (+3.5 frames) at Evens with Paddy Power. 3 x 1 point doubles and a 1 point treble on Brecel, Burns and Williams. Treble pays over 11/2 at Hills. UK Championship Day Three – Has it Started Yet? I think it’s Day Three of the UK Championship but correct me if I’m wrong. It feels more like qualifiers for the main event rather than part of a global masterplan to me. I trust that this feeling I increasingly have of an administration intent on dumbing down professional snooker doesn’t detract from what should be a great snooker spectacle when it starts on the BBC on Saturday. However, it is with my head hung very low that I report disappointing coverage from the former broadcasting home of snooker. 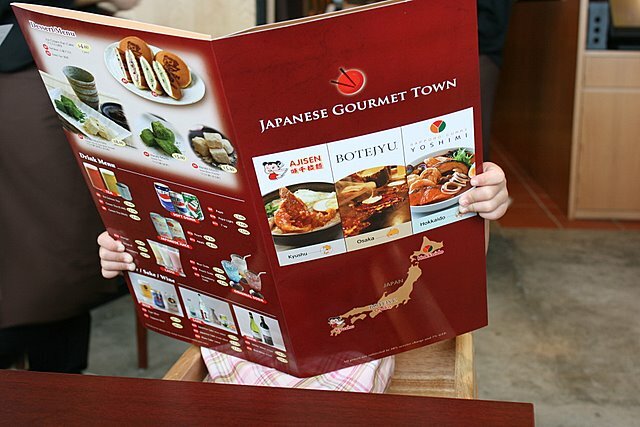 In terms of betting, I have that feeling I get when I am in a restaurant studying a menu so vast that you just don’t know which way to turn and inevitably end up ordering something that you don’t really want and leaving disappointed, feeling short changed. For me and my tiny and ever-shrinking brain there are simply too many matches happening at the same time to make this a tournament I can get excited about from a betting point of view at this stage, unlike the Champion of Champions, Masters or World Championship that force you to make a choice and hone in on a decent bet, they are increasingly the tournaments I’m having the most success in. Sometimes you just need to be given a smaller choice so you can drill down to the bets you really like. This flat field all at the venue thing is going to take a bit of getting used to for someone like me I reckon. I’d prefer them to just play it all somewhere else and leave us with the 32, whoever they may be for the venue, but Bazza seems to be steering the ship in a certain direction, let’s just hope it doesn’t end up shipwrecked while others say I told you so. There are a mere 24 matches on Thursday, can’t someone just give us a set meal deal? If you go over to Cue Tracker here you can enter both players names and see their head to head statistics. There are far too many matches for me to live link those I’m afraid, sorry Ron. Predictions: Astley,Dott, Carter, Holt, Woollaston, Bond, Robertson, Morris. John Astley, like Kyren Wilson, Gary Wilson and Chris Wakelin is a player I am keeping on the right side of at the moment while the bookies are giving us a fighting chance and I reckon he’s got a decent chance against Kendo, but it has to be said the bookies are not giving much away considering the gulf in experience between the two. It’s either playing when the Beeb go on air or filling the vacant Nugget spot which will define the UK Championship this year for Ken you feel. Graeme Dott is in decent form and does not struggle against lower ranked opponents when that’s the case, his recent record is played 14, lost 3, the three to beat him have been Mark Allen, Ding and Bingham all three being very close, he should progress against his very handy fellow Scot Fraser Patrick and he’ll probably have been thoroughly pissed off having watched the Champion of Champions too. Ratchayothin Yotharuck is no pushover, but Ali Carter’s form is enough to suggest he can get primed up for a decent run in this with a mildly testing starter (menu’s on the brain again) whilst I would also expect Michael Holt to coast past his first round opponent Lee Page in the main arena. In the Sports Hall is where the ‘shocks’ might be tomorrow I reckon. Stuart Carrington has shown enough to suggest that his price to beat Ben Woollaston might be long enough to have a punt on, if it was in the main arena I’d back Ben but from what I’ve heard the conditions in the Sports Hall are a little different so that may be a leveller, but Ben is the better player so I’ll leave it. Nigel Bond is ridiculously tricky to read these days and any bet for or against him should really carry a government health warning, no bet. Li Yan isn’t really beating a lot of players lately, particularly outside China so Jimmy Robertson should beat him, but Jimmy is another who is a little unpredictable so he’ll either win easily or struggle, never anything in between. The bookies aren’t daft when it comes to Morris v Cope, Cope you would think should be favourite for this match, but he isn’t, there’s a reason for that. Recommended Bets: 2 x 2 point accas with bankers Dott, Carter and Holt. Add Robertson pays over 5/4 at Apollobet. Add Morris pays 2/1 at Betfred. A 2 point 5 fold on all 5 pays over 3/1 at Apollobet. 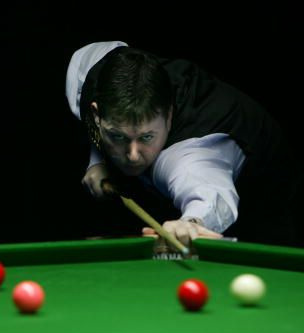 2 points on John Astley to beat Ken Doherty at 6/4 with Stan James. An appointment with The Dentist. Predictions: Hawkins, Murphy, Bingham, Wasley, Yupeng, Davison, O’Donnell, Harold. I’ve been accused many times, sometimes even by myself to be fair of continually underrating Barry Hawkins, guilty as charged I reckon and I won’t be making the same mistake again as he takes on the young Swiss potter who rhymes with snookerbacker, I think the main arena setting will ensure that Barry progresses and the same can be said for Shaun Murphy and Stuart Bingham who both face opponents that they would be very disappointed to lose to, only a very bad day at the office for any of those three big names would see them fail to progress, but none of them are a backable price even in a treble. The most competitive match of this foursome is obviously Jimmy against Wazza. Michael is picking up a good winning habit lately and it’s fair to say that Jimmy hasn’t been firing on all cylinders since his foot operation. He’s fighting for tour survival so has a massive incentive to win but this is a tough match for him against an up and coming and very capable player, I’d marginally favour the Gloucester man who I don’t think will be phased by the main arena. UPDATE: Lee Spick has withdrawn and Shaun Murphy gets a bye. Paul Davison v Gerard Greene now in the main arena. The more competitive matches are again in the Sports Hall part of the venue. A golden rule of this blog is to avoid wherever possible betting on matches involving two Chinese players. Cao Yupeng for me along with Xiao Guodong is the next in line after Ding on the Chinese order of merit, but he’s still some way behind, he should beat Zhang Anda on form, he’ll probably win 6-5 as it’s amazing how many of these clashes go all the way. Local man and solid battler Paul Davison will fancy his chances of progressing against Gerard Greene, who I tend to bet against quite a lot. I still don’t know where his PTC burst of form came from to get the final against Ronnie in Germany and since then he seems to be losing again so I’ll take Snowy to progress, quite amazingly given their long professional careers they haven’t played each other for 12 years. Next up The MO’D faces The Dentist in what could be a long one if Rory gets his way. I think the bookies have priced this one about right and I’ll just cheer Martin on without a bet, he’s beginning to come good and let’s hope he can keep up the momentum with a timely win here. Finally, sleepy Chen Zhe takes on Bananaman Dave Harold, Big Dave for me still has the ability to grind down opponents and recent results suggest enough to me that he can progress in this one. Recommended Bets: 3 x 1 point doubles and a 1 point treble: Wasley, Davison and Harold (treble pays almost bang on 6/1 at Hills). 3 points on Davison at 13/10 with Hills. Predictions: Trump. Allen, Williams, Ebdon, Wheelbarrow Gang, Pinches, Baird, Chuang. Tonight sees two live title contenders in action in Judd Trump and Mark Allen. Judd’s form however has recently somewhat deserted him, barring a decent showing in Antwerp and a 147 to boot he’s not really firing at the moment. He faces Gareth Green who coincidentally is booked to play in the SB Classic on Saturday, needless to say he starts a very long outsider for this. Jak Jones played very well against Ronnie on TV in Antwerp and looks to have modelled his whole game on the Rocket, he could feasibly give Mark Allen a scare and is no pushover, Mark will have to be on his game to ensure a comfortable victory, anything less and there is a possibility that may go close. Scouser Allan Taylor takes on MJW and those who are familiar with the blog know of the special bond I have with The Assassin, I’d love to see him win and look forward to watching it, he is more than capable and you never know. Peter Ebdon is seemingly coming back to something like form after an absolutely awful run of results has seen him plummet down the rankings, he faces one of the nicest people in snooker Gloucester’s Andrew Norman who seems to simply play for pleasure these days, but players like that can be dangerous and I fancy that one to be quite close, marginally favouring the tough as teeth former world champion. The all Thai match is one to leave alone, I’m very disappointed that World Snooker have decided to take the PTC Grand Finals there rather than Ireland this year. There have been too many instances of hooky matches involving players from this part of the world and in my view, as well as a bit of brushing been done under the carpet, people in the game know what’s been happening but on the face of it are not really trying too hard to stamp it out. Barry Pinches has recently enlisted the help of SightRight’s Steve Feeney to help his bid to stay on the tour and the results seem to be paying off, I quite fancy him to use his experience to beat Sheffield’s Adam Duffy, who has only won 2 of his last 10 matches. Peter Lines continues to impress in qualifiers and is a really tough player to beat, he faces Gloucester’s Sam Baird, who still owes Mrs SB a gin and tonic. That’s a really tough call as Baird can be ruthless when he’s in form, as Sam has won their only two encounters to date I’ll side with him, but this could be down to the wire. I’ve no strong feelings about the other match between Drago and Chuang, though as Chuang is 2-0 up on the head to heads I would probably give him the nod, though he is a player that seems to have already peaked in his career. Recommended Bets: 2 x 2 point singles and a 2 point double Barry Pinches (17/20 Apollobet) and Lines v Baird over 9.5 frames (11/10 Paddy Power). Double pays almost 11/4 at Paddy Power. Recommended Bets for Wednesday: 4 point acca on Gilbert, White, Lisowski and Gould pays just on 5/2 at Ladbrokes. 2 points on Kyren Wilson at Evens with Hills and a 2 point double on Wilson and Joel Walker pays almost 7/2 at the same firm. Here are the opening day’s matches from the Sports Hall at the Barbican. Those marked (LS) are available on Live Stream at the World Snooker TV channel or the usual bookmaker sites. Recommended Evening Bet: With Dale losing in a decider, I think the treble on the other three in the original acca can get us out on top for the day so it’s 2 points on the other three at just on 11/8 with Apollobet. Add O’Brien for a 1 point acca which pays over 9/4 at Sportingbet. Monique’s shot of the Barbican, taken yesterday. 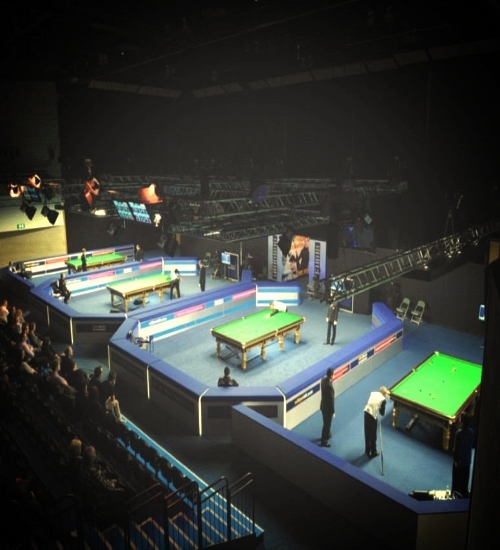 Today sees the rather understated start of the UK Snooker Championship, heralded as one of the games blue riband events which this year reverts to a whole new format, with Bazza’s dream 128 player format with all players playing at the venue from the start being tested on one of the really big ones for the first time. I might as well get this out of the way before going any further but I was against this move when it was first announced. I think there is a place for a flat draw structure, in fact once the rankings are money based if anything isn’t a flat draw structure (which will be the case) then this whole list becomes a farce in my opinion, but I don’t like the money list concept either really. To me, what the Champion of Champions event proved was how much better snooker is as a spectacle when you are watching the best players playing each other. That whole premise is risked by adopting this structure, how will the BBC and more importantly the three times a year BBC snooker fans feel in the (albeit unlikely) event that the final four are all outside of the top 8 players? To get around this slight problem, the draw has been structured rigidly on rankings which minimises the risk of the big boys not being there at the end, so as things stand Mark Selby, Ronnie O’Sullivan, Neil Robertson and Ding Junhui, who I believe are currently the four best players in the sport by a little distance can form the final four. I was really interested last week in Ronnie and Robbo’s comments about staging more prestige events for the top players. Aussie Robertson even going so far as to say that these should be in the UK, pointing out that the crowds are more consistent and the tables always run better. Ronnie (half-joking) said he didn’t think Bazza would be presiding over a sport where players are falling asleep at venues waiting to play in poor conditions in the middle of the night and would instead be looking to increase the profile using the games top players, which to some extent I agree with. Ronnie also said that there was no longer any incentive to be a top 16 player, on that point he is wrong of course, unless Bazza decides to tamper with the World Championship format, which I sincerely hope that he never does. So what of the UK Championship? Once a huge highlight of the snooker calendar, but in the last few years for me not quite flicking the switch to the Christmas lights that it used to. York as a city to host a major snooker tournament is superb, there is plenty to do within a stone’s throw of the Barbican whatever your interests so this ensures healthy crowds, but I can’t help but miss the format of old if I am honest and I’m not sure every move that Bazza has made on this once great championship is right. I think these days the Masters is infinitely more enjoyable. But it’s still a great tournament to have on your CV and Mark Selby is back to defend his crown this year, this time with Ronnie in attendance and seemingly in superb form and I would not be at all surprised to see them fight out the final this year as seeded players number 1 and 2, what a spectacle that would be. 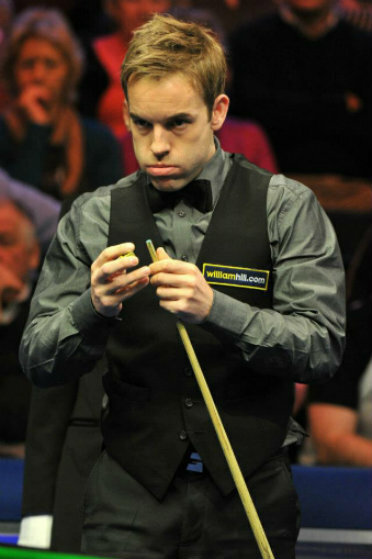 Is there a player that can produce a shock and break into the elite top four semi-final line up of Ronnie, Selby, Robbo and Ding? Well, shock probably isn’t the right term to use but I’m sure what I regard as the current next tier down in John Higgins, Stephen Maguire, Judd Trump, Mark Allen, Ali Carter, Mark Williams and Stuart Bingham will fancy a good run in this. For all the players on view, I have a feeling we’re going to be seeing some familiar faces in this at the business end of things. I can’t see any outsiders (i.e. a player that I haven’t mentioned above) making an impact any further than the quarter finals but I’m sure we’ll see some shocks in the matches given there are a total of 127 of them in all. It would be a shock if there wasn’t a shock in fairness. I’ll be giving the matches a closer look as the days go on but for now I will leave you with three outright and fairly predictable selections and one who I think may be a little overpriced at longer odds. Recommended Outright Bets: 4 points on Mark Selby at 9/1 with Apollobet. 3 points on Ronnie O’Sullivan at 4/1 with Paddy Power. 2 points on Ding Junhui at 8/1 with William Hills. 1 point each way on Stephen Maguire at 28/1 with William Hills. Ant Parsons: A Grand Finalist again. 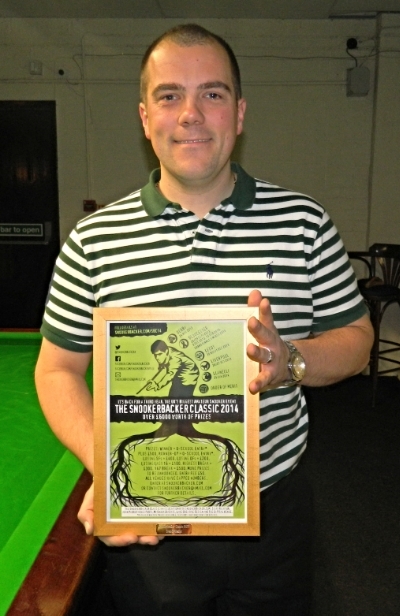 Sunday saw heat five of this season’s qualifiers for the Snookerbacker Classic and after the last successful event at a new venue in Liverpool, this time we took the tournament to the Cueball in Derby for the very first time. It’s always a risk going to a new venue, I hadn’t had the opportunity to visit Derby before the weekend but had heard good reports of the venue from several trusted sources and the exchanges I had been having with Danny and Paul who run the place in advance of the tournament made it clear to me that this is a club with ambition, run by snooker people after the corporate fat-cats at Rileys had almost run the place into the ground with their pool, darts and ale focus and total lack of knowledge of how to run a successful snooker club. On arrival we were greeted by Marc, who showed us around the place and explained the lay out. It was smaller than I had imagined but that added to the feel of it, the snooker tables are nicely separated from the bar which is accompanied by a small area with pool tables (an unfortunate necessity of modern times, hopefully soon to be rid of for the next generation). The viewing area however is fantastic with a glass wall offering views of all the main tables in the snooker hall which remains the beating heart of the building. Also greeting us was Mark Jones, who was waiting for his daughter Hannah to finish her practice session for the day. Mark took no time in totally rubbishing Paul Beech’s hotel recommendation which we had followed to the letter and talking to us about all manner of things while telling Hannah to get back to the table until he said she could stop, in the nicest possible way of course. 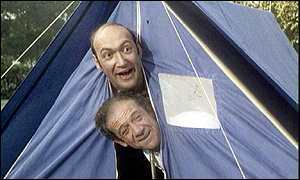 Mrs SB left proclaiming that the club had a nice ‘feel’ to it, I agreed and almost at once our minds were at rest and we were ready for a day which we were promised would involve much local rivalry and banter. I heard early the next morning from Syd Wilson, who would have been one of the favourites to progress, to say he was unable to make it and had to withdraw which left the path clear for another of the fancied runners, Middlesborough’s Ant Parsons, to the Quarter Finals whilst the other seven first round matches got underway. The players had already been marvelling at the lemon cheesecake bites that Mrs SB had supplied on her now legendary antique silver cakestand and the SB Classic first timers seemed delighted with this addition to the tournament, they also lapped up the goodies provided free of charge by generous sponsors John Parrott Cuesports. Highlights of Round 1 included what was (at that point) the highest break in this year’s Classic when former professional Jamie Bodle knocked in a classy 121 against Troy Brett. The two are local rivals and as Bodle went on to win 4-2 the rather unsympathetic local crowd, again with Jones as the ringleader of the tormentors, greeted Troy with the question of what it was like to be Derby’s number two player, clearly not adhering to snooker’s timeless etiquette of sympathy and pats on the back for the losing player, but I’m glad to say it was all in good humour, well at least I think it was anyway. In the meantime, Hannah, who had arrived without her disgracefully hungover parents was on her way to beating Paul Beech 4-1 eventually under the watchful and ever-critical eye of her doting father who managed to make it out of bed to catch the last few frames, in body at least. Hannah is clearly improving in leaps and bounds since going full-time and it’s there for all to see, something that Mark puts down to a number of factors, not least her coaching regime which he believes is bringing out the best in her, not that he’d tell her that of course. Mrs Mark eventually arrived wearing dark glasses fresh from some podium dancing under the influence of alcopops at a circus the previous evening. Yes, you did just read that last sentence correctly. There were also wins for Sean Hopkin, Bash Maqsood, Joe Steele, Andy Marriott and Stefan Mazrocis. Mrs SB took an instant liking to Stefan I have to say, his penchant and compliments for her cheesecake and general cheerful demeanour is always going to be a winner with her and she asked if he had entered any more, which is a sure sign that she likes someone. Meanwhile I chatted away with Andy Marriott about our mutual manlove of all things Morrissey, we’re having a race to the end of his poetic autobiography and I’m sure we’ll catch up on that again soon, we also both discovered a David Bowie / Wizard of Oz link that had seemingly passed us by for years, all courtesy of Mozza. Parsons took to the table to face Marriott in the Quarter Finals and after losing the first frame (one of only two he was to lose all day, both to this opponent) the North East man really got into his stride and even managed to better Bodle’s earlier break by a single point, setting the new highest break of the tournament which carries a £300 prize at 122. 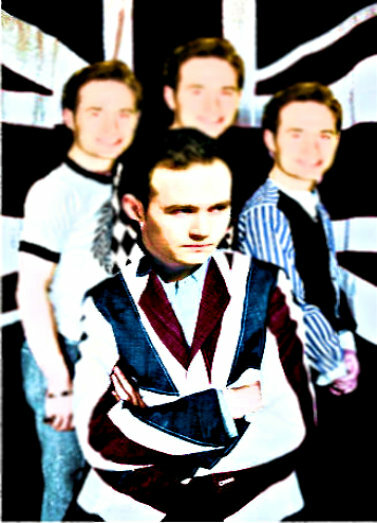 Obviously still with Mozza on his mind, Andy simply proclaimed afterwards ‘I know it’s over’. Roycey doing his Ref School thang. Local rivalry was meanwhile reaching fever pitch on table 10 as Bash Maqsood fist pumped his way to a deciding frame victory over Sean Hopkin. It’s fair to say that the two had a real battle out there, I would hope that if they faced each other again their behaviour at the business end of the match would be a little more in keeping with the spirit of the tournament. But it clearly meant a lot to Bash to win and Sean was obviously very disappointed to lose. It’s big stakes out there for the players and sometimes that can take over a little. Mazrocis rolled back the years in beating Hannah 4-0 which almost signalled the Jones family exit, but not quite yet as Mark was again holding court in the bar area. This was no disgrace for Hannah as the Crucible veteran obviously still has a really solid game and I think may be planning a comeback of sorts on the Seniors tour. Meanwhile Joe Steele’s dad was polishing off the lemon cheesecakes at a rate of knots as the Stoke Potter put paid to Jamie Bodle’s hopes, Joe coming through that one 4-2. The semi-finals saw a very one-sided affair between last year’s Grand Finalist Parsons and Maqsood, Ant rolling out a comfortable 4-0 winner under the watchful eye of Martyn Royce, who had spent all morning going through the motions with three Ref School hopefuls; David, Steven and Marc, who had travelled to Derby to learn some of the basics of snooker refereeing from the Roycemeister himself. Joe played solidly to end Stefan’s run and book a place in the final against Ant while his dad reached for more lemon cheesecake, it must have been nerves. It’s fair to say that Ant took control of the final from an early stage, Joe didn’t really do an awful lot wrong and Ant was clinical in his scoring to again score a whitewash and progress for the second year in succession to the Grand Finals. He was delighted at the end and as ever was very complimentary about the tournament, as were all the players we spoke to in fact. It seems a great day was had by all. Ant’s next stop last night was to go and film a feature with the BBC in York ahead of his match against Ding Junhui in the UK Championship which will be shown live on Saturday, be sure to tune in and cheer him on. A huge thanks goes to all at the Cueball that made the day go so well. The club is going from strength to strength and the enthusiasm of Danny, Paul, Marc and all the staff as well as the obvious gratitude of the local players at having a great club to play in shines through. We can’t wait to return there again. 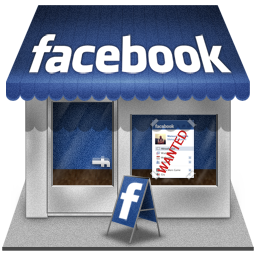 You can view and like their Facebook page by clicking here. If you’re in the area, pop in and see how it’s improved since they got hold of it. Ant’s win sees him join Ben Harrison, Kishan Hirani, Adam Wicheard, Jamie Clarke, Anthony Jeffers and Mitchell Mann in the Grand Finals and next weekend we’re in Leeds to find two more to join them. Currently Callum Lloyd and Joe Steele sit in pole position on the Order of Merit List with five more qualifying events to go. The top two from this list will also qualify for Grand Finals Day. You can view all the results from the Derby SB Classic qualifier here. The latest standings in the Order of Merit list are here.